TUESDAY, Jan. 13, 2015 (HealthDay News) -- Two troublesome adult breathing issues -- asthma and sleep apnea -- may have a connection, a new study suggests. Adults who struggle with asthma face an increased risk for also developing the nighttime breathing disorder known as obstructive sleep apnea, the new research reveals. 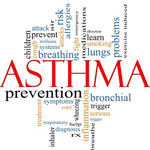 The finding stems from the long-term tracking of about 550 men and women, of whom a little over 15 percent had asthma. All were participants in the Wisconsin Sleep Cohort Study. At the study's launch in 1988, all the enrollees were between the ages of 30 and 60. Every four years since that time, each completed general health questionnaires, while also completing in an overnight in-laboratory sleep test. At the very first four-year follow-up, the study authors found that more than a quarter of the asthma patients (27 percent) also had newly developed sleep apnea. This compared with just 16 percent of the non-asthmatic patients. Over the full study period, the team concluded that asthma patients faced an almost 40 percent greater risk for sleep apnea than asthma-free participants. What's more, the longer an individual had asthma, the greater their increased risk for developing OSA, investigators found. However, while the study could point to an association between asthma and sleep apnea, it couldn't prove a cause-and-effect relationship. The study was led by Dr. Mihaela Teodorescu, of the William S. Middleton Memorial Veteran's Hospital and the University of Wisconsin School of Medicine and Public Health, both in Madison, Wisc. They published the findings in the Jan. 13 issue of Journal of the American Medical Association.